Mac App Store release date set for 13 December? Apple is looking to open the doors of its Mac App Store in less than a week, according to reports, with 13 December being mooted as a release date. Jobs and co announced back in October that an App Store for Macs was in the works, after it was revealed alongside the new OS X platform, 10.7 Lion. The store is taking its inspiration from the iOS app store, offering applications to make your desktop that little bit better to use. Although it was announced with OS X 10.7, the app store is standalone and will be available for those using Snow Leopard and above. The internet's usual rumour mill has seen the date 13 December crop up a number of times – and it's a date that's in-keeping with Apple's proposed 90 day from announcement launch. December looks set to be a busy time for Apple, who is also looking to drop its iOS 4.3 update around mid December as well. 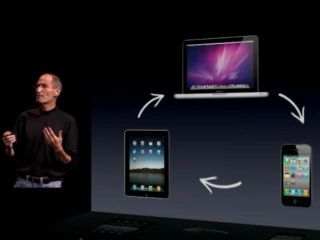 This will bring improvements to Airplay and a possible new type of subscription service for applications.